Does God always answer prayers? There are some problems that just seem too big. We pray and we wait, but circumstances become more complicated, and answers are slow in coming. Often stray questions quietly creep into our mind. Is God bigger than my situation? Does He really care? Is He ignoring me? Here and there, unevenly distributed along the stretch of mown grass, were brown lumps of soil. Sometime in the night the little brown creatures that live under the earth had tunneled their way up to the surface, leaving these brown polka dots all over the yard. 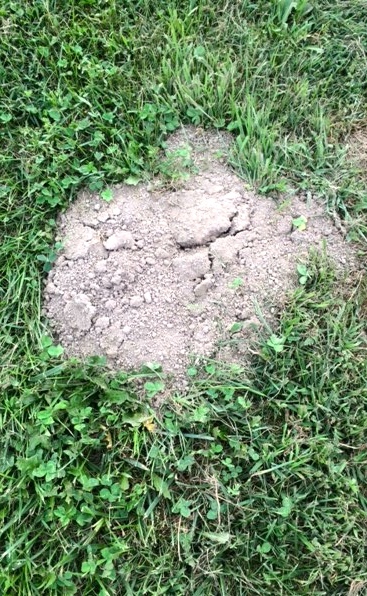 As I considered how many and how quickly these mole hills had appeared, I reasoned their must be a whole colony of these velvety animals living under our property. In my imagination I pictured a vast network of tunnels and burrows crisscrossing each other like a huge underground subway. Though I couldn’t see them, they were there waiting for the right moment to pop through the surface. My thoughts again shifted to my unspoken questions about God. Sometimes the answers to our prayers are slow in coming. Yet in faith we believe that He is working even when we cannot see. James says that the prayers of a righteous man are powerful and effective. As we lift our Godly petitions to our heavenly Father, He hears. And in His way and in His timing He begins the process of bringing these requests, asked according to His will, to fruition. Just as we can’t see all the underground activity of the “Mole Phenomenon,” so we cannot always see that God is working in the secret places of the hearts and lives of those around us. But if we do not become weary and if we wait patiently for the answers to our prayers, one day a mole will pop through the surface of the hard ground. Our faith will be rewarded and we will finally realize that not all of God’s delays are denials – they are often just like the “Mole Phenomenon,” the providential working of His plan right under our feet.